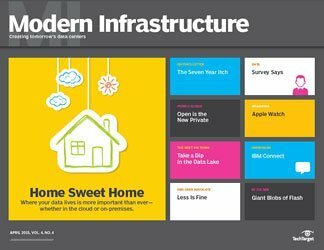 There was a day when all IT was done on-premises, in the company's dedicated data center or server rooms. Today, we have a dizzying array of outsourced IT options: hosting, co-location, managed services, cloud, and various hybrids, either shared or dedicated. 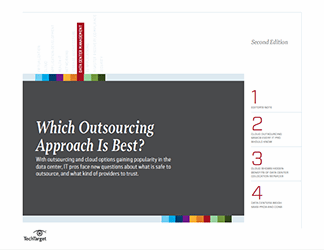 This handbook educates the reader on the variety of their outsourced IT options, and explores the pros and cons of each approach in terms of cost, availability, service levels, security and compliance and interoperability. The end goal is to arm IT managers with a nuanced understanding of on-premises vs. outsourced IT. 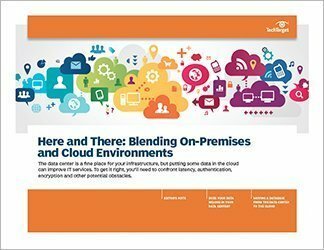 Readers will learn the pros and cons of running IT in-house and on-premises vs. outsourcing it to any number of providers and platforms: hosting, co-location, managed service provides, public cloud and hybrids thereof.